Do you have a fear of the treadmill, or an aversion to the bench press? Feel hesitant before a spin class? Don’t let your dislike of working out prevent you from living a healthy lifestyle! Our top 4 exercise hacks are clever little ways to get your heart rate up and calories burning, without feeling like you’re doing traditional exercise. Plus, they don’t cost you a gym membership! We’ve talked many times about the health benefits of bouncing on your Vuly trampoline. From a healthy heart, to toned muscles and cardio fitness, your backyard trampoline is an exercise all-star! But the best thing about bouncing away on your Vuly is that you're having so much fun that you don’t even notice yourself building up a sweat! Engaging in active pastimes that you actually enjoy is a much easier way to tackle your daily exercise needs than, say, attempting advanced workouts on gym machines – especially if you’re unsure of how to use them properly. Do you have a flight of stairs in your home? Use them to your advantage! Next time you have to head upstairs, incorporate some easy exercises on the way up. Some of our favourites include: lunging up to each second step, high knee exercises – both up and down – and stair sprints. Jumping up each stair with both feet is an even more full-on option! Don’t be sedentary during boring ad breaks that interrupt your favourite television shows; get up and move! During each advertising break, set yourself a '50' of a certain kind of exercise. You can break your 50 reps down into five sets of 10 or two sets of 25, depending on the exercise. We love push ups, tricep dips against the couch, ab crunches and squat jumps! Did you know that gardening is actually an incredible workout? 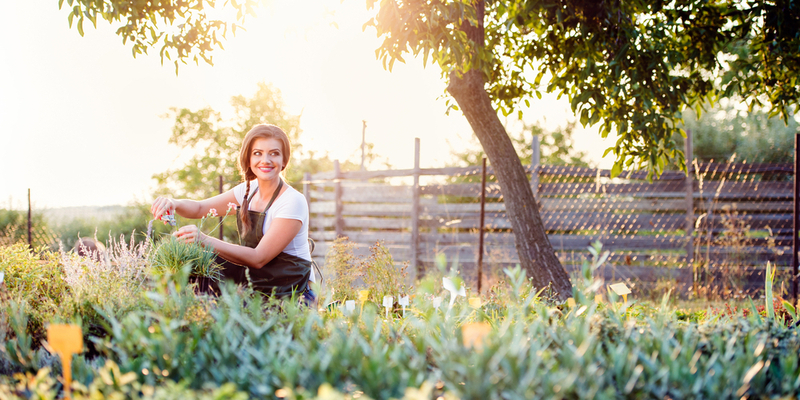 Squatting down to pull out weeds, hacking away at hedges, mowing the lawn and pruning plants offer a whole-body workout that tones and strengthens. Keep your garden (and body!) in tip-top shape by setting yourself a gardening day every few weeks. Plus, the vitamin D that you soak up outside in the sun is great for your mental and physical health, too. We’d love to hear if you’ve managed to incorporate any of our exercise hacks into your daily routine! Are there any other ways that you stay active around the house?